iMac with Green Background PowerPoint Template provides you with iMacs mockups that you can use in your next presentation display to introduce your products and suggestions in a very catching way. Everything in this set of layouts is completely editable which means that you can use it as you want. Are you looking for a tool to use to create a professional and eye-catching website for your Real Estate business? 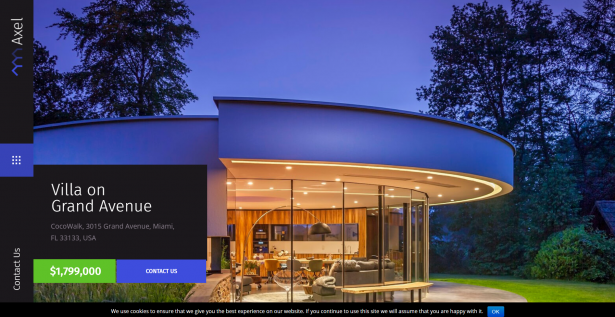 The 59 Best Real Estate WordPress Themes 2019 is a collection of templates that you can look at and download the one the fits you the best. Brown Squared Pattern Free Template for PowerPoint is a creative and colorful free presentation template that was designed to give you a hand present all your content such as texts and numbers. Everything will be well-organized so you will not worry from overwhelming you audience since all is going to be clean.